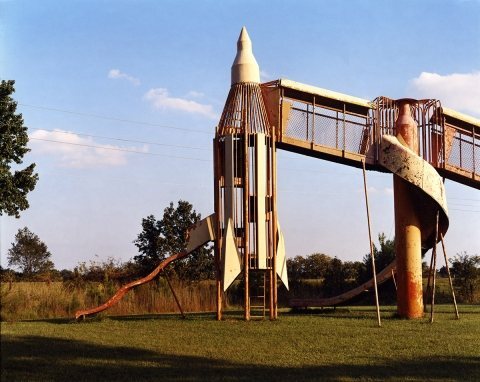 Giganta reminded me that I hadn't posted anything about the awesome photos of vintage rocket- and space-themed playground equipment that had been making the blog rounds recently. Not wanting to just do a me-too, "sweet! check it out!" reblogging, I decided to email the artist, Lauren Orchowski, and find out a little more about how she came to make "Rocket Science," her series of photos that required several years and several cross-country road trips to produce. Lauren was kind enough to oblige, and her story, after the jump, is fascinating. 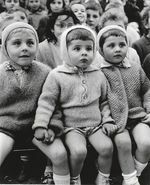 In addition to the incredible logistics of making the work, and the extraordinary attention to the process of photography behind the images, her account of the project really resonates with the personal/collective response of so many people who remember playing on similar playgrounds at the end of the Cold War. That's into the 1980's, folks, not the '60's that we "normally" think of as the past. DT: I'd love to share some of your perspective on the series, how you came to the subject, how you went about shooting the playgrounds--or even finding them, for that matter. 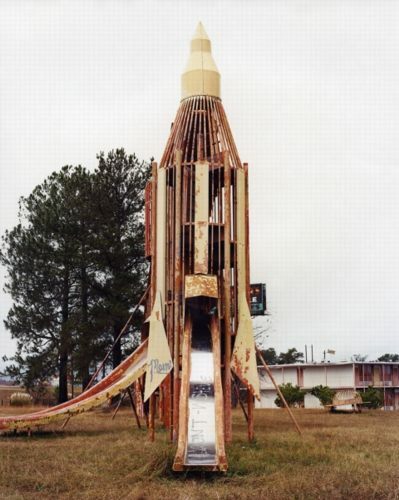 LO:The "Rocket Science" project actually began in the fall of 2004 while I was studying for my MFA in photography. I was driving at night down I-95 in North Carolina and saw this rocket structure out of the corner of my eye in the dark. It was barely illuminated by some surrounding lights. It was about 1 or 2AM so I decided to pull off the road, and return the next morning and started photographing. I can't remember a time where I had gone through so much film at (for lack of a better expression) mach 3 speed. I returned back to New York City to my studio and developed and printed the work in time for an "Open Studios" event where the public is invited to come and see what all of the graduate students are up to at Hunter College. When I opened up my studio that evening I was inundated with stories of other people's experiences on similar playgrounds and given directions to numerous locations where these rocket ship structures might still exist. One woman even immediately phoned her mother in Colorado in front of me to ask if the playground that she had grown up with was still there. It was then that I realized the importance of these seemingly simple structural elements from childhood and that they were probably in the process of being torn down. They were, and are. I felt that I had a responsibility as a photographer to make a visual record of any playground that I could find from this era. I kept track of my mileage up to 23,000 miles, and yes, I have climbed up into every single rocket ship. Some of them are so old that you can feel the structure swaying when you are at the top. Some are welded shut and you can't access the top level. The method that I use for the documentation of the rockets and their respective environments is the 8 x 10 inch view camera. Why? For myriad reasons. The experience of being underneath my dark cloth affords me the opportunity of temporary isolation from the environment which in turn allows me to see the landscape in a different view to make an image. The detail from an 8 x 10 inch neg also lets me see all of the nuts and bolts, blades of grass, expressions on people's faces from the moment. And, I love process. 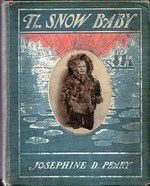 The images that appear on the website are in color, but I have also made a collection in black and white. I hand develop the B&W negs in trays and print them in a traditional/analog darkroom. This documentary series turned into my thesis project. As part of the final presentation I began making models of the rockets, lunar landers, and flying saucers in an effort to better understand the objects. The actual structures are 25-30 feet tall. I went on a final two month trip to find and photograph as many playgrounds as I could before sequestering myself back in NYC for building my thesis exhibition. One of the photographs that I made on the trip was "Los Angeles Night, July 3rd, 2007." It was a 90 minute exposure. While I was exposing the film I began to imagine what the landscape, with this rocket, would look like without all of the lights from the city below it and wished that I could see the stars above instead. When I returned back to NY, I started constructing idealized fictional environments without any "light pollution" to place the models of the structures that I had built into. Hence the dioramas came to fruition. The photographic collection that I have made continues to inspire the 3D work, it's really an ongoing dialectic. I'm currently working on a new set of dioramas/theaters for an exhibition in the fall of 2009. After I finish them I am leaving for one more trip. I keep saying to myself, Lauren finish this project! So I am currently going through my stacks of images and negatives, trying to take one last look before I gather everything for a book. But, of course there's never a last look. My perspective on the environments that I return to change, my perspective on the state of the world changes, and with it so does my imagery. I grew up in upstate New York and although I wasn't lucky enough to have access to one of these particular rocket ship playgrounds as a kid, there was a singular metal spaceship/flying saucer structure from the same era at a playground near my house. So many people come to my work from multitudinous backgrounds, so everybody is going to have a different perspective while viewing the imagery. I grew up in the 1980's, I began kindergarten at the beginning of the Reagan administration, watched the Challenger catastrophe on live TV, and lived (for the most part) a regular American childhood. So I view these playgrounds as temporary environments of escapism associated with both the space race and the end of the Cold War era. Awesome. this one is exactly like the big rocket I remember from Iowa, complete with the slide at a middle level and the steering wheel on the top level. IIRC, I never actually went to the top level, because it was too wobbly and I was a afraid. The space speeder rocking horse thingee next to it also looks vaguely familiar, so these things must have been mass produced and shipped all over the country. In the comments, someone said she hoped they didn't dismantle "the indian" in Huffines Park, too. But that ain't no indian, it's Giganta! And in fact, it was dismantled, too. 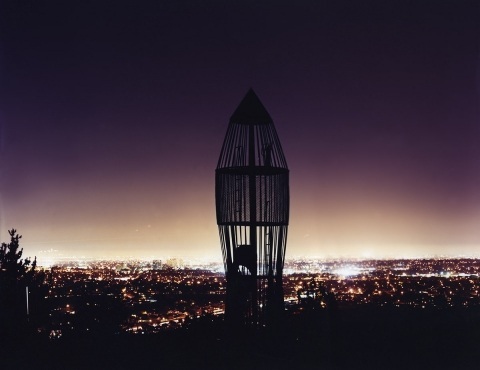 the rocket in the "los angeles night" photo (which is the same one micah references in his commment) is at rocketship park (which is really los arboles park, but everyone calls it rocketship) in torrance, CA. i grew up right down the hill from it and went to the elementary school next door. it was also taken out for "safety" back in the 90s, but there was a populist uprising and we made them put it back. the view from that park is incredible, day or night. combined with the rocket it's one of the best things about the town. We had one EXACTLY like your first photo above. It was in the playground across the street from my elementary school in the late 1960s and early 1970s. I do not recall when it was first put up, but it was not long after the 1969 moon landing. At first blush, i actually thought your photo was from the old park from my youth. Thanks for the memory.